On February 16, 1981, Francine Frost went grocery shopping in Tulsa, OK. On February 17, 1981, her car, a 1980 Buick Skylark, was found in the grocery store parking lot of a Skaggs Alpha Beta at 21st Street and Memorial Drive. The keys to her car were hanging in the door lock. 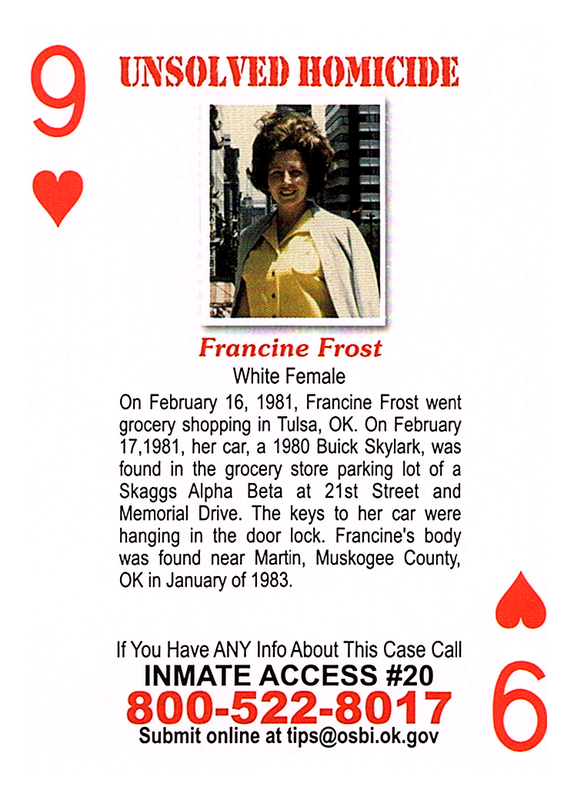 Francine's body was found near Martin, Muskogee County, OK in January of 1983.